Looking for a fun Easter activity to help children practice identifying numbers? Kids from preschool, prek, Kindergarten, and more will love these cute FREE Easter Color by Number Worksheets. 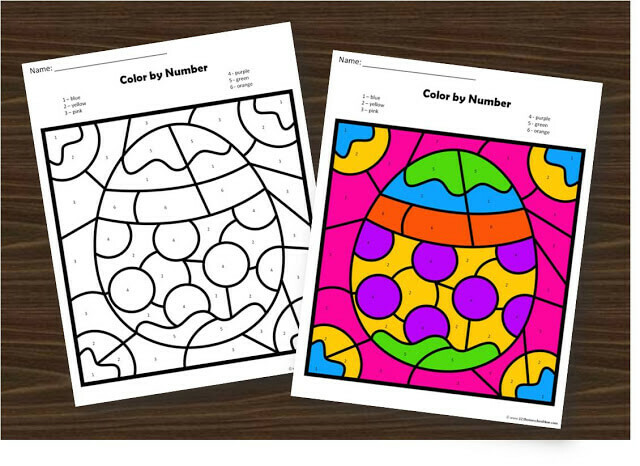 Make practicing identifying numbers fun with these FREE Easter Color by Number Worksheets. Kids will love coloring to reveal the hidden picture. These color by number worksheets are NO PREP! Just print, grab a box of crayons, and you are ready to practice numbers from 1-10 or 11-20. There are 6 different Easter themed color by number sheets plus an answer key.